Are Love And Truth Mutually Exclusive And Full Of Tension? Happy New Year 2017. 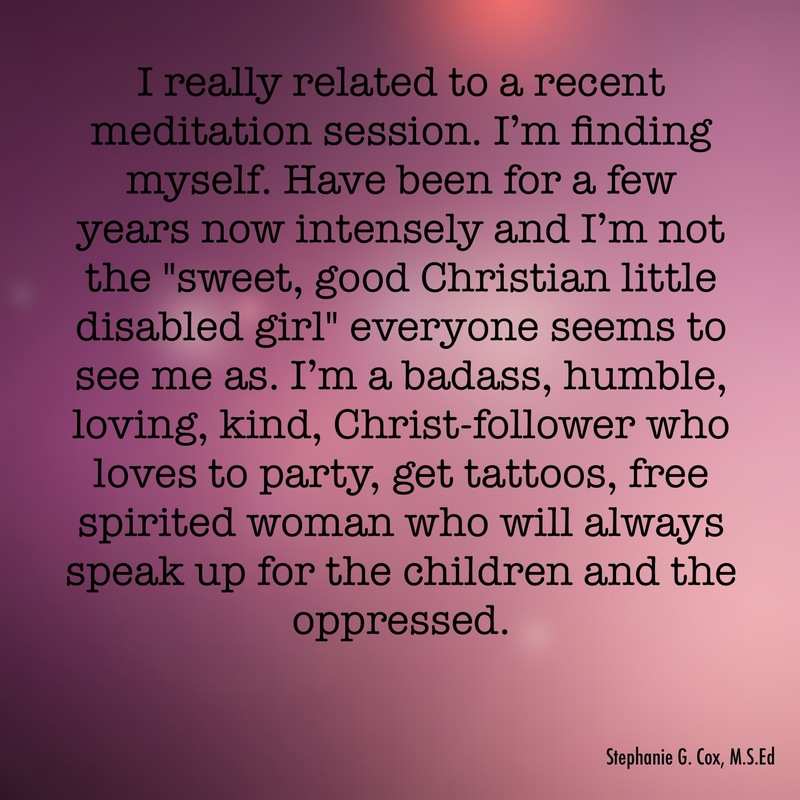 As I begin this new year, I find myself relating less and less to the Christian world. I’m a Christ-follower through and through. I strive to be more like Jesus and less judgmental. As I grow in my walk with Christ, the mainstream Christian worldview just feels so harsh and misguided and judgmental. I’m not seeing much Christ in these people. That makes me so sad because I’m seeing just how broken the Church really is. I know we are all a bunch of broken, sinful people but we should be striving to be more loving, compassionate, merciful, peaceful, gentle, forgiving, and full of grace. In other words, more like Jesus Christ! But all I’m seeing is harshness, judging, accusations, promotion of being harsh to children and anyone who dares to disagree with you and/or dares to take a less literal interpretation of parts of the Bible. To dare live outside of the mainstream Christian culture is to go to “Hell” and to be part of the devil’s schemes. 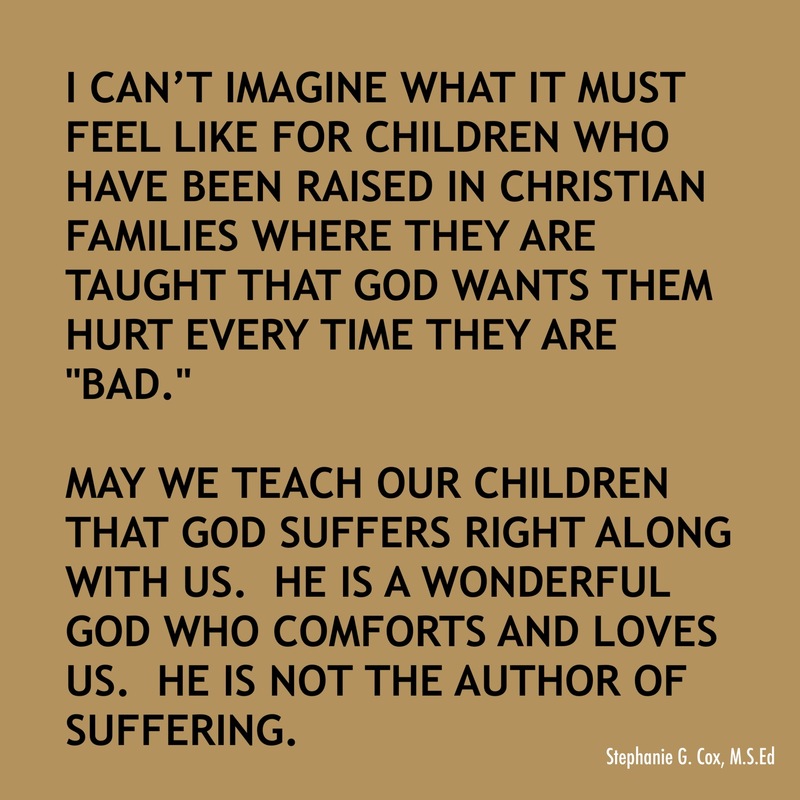 Anyone who has followed me and/or has read my book, Gentle Firmness, knows that I have been struggling with fitting in with the Christian culture because I can see that God never intended for children to be spanked/hit by their parents. Sadly, the mainstream Christian world disagrees with me and refuses to see the Truth. And now that I have gotten tattoos, I’m really enjoying that culture because it’s so real, loving, and actually Christ-like, yet, even though nobody has said anything to me, I know some of my Christian friends are probably thinking that I am really backsliding now. Not only do I advocate for peaceful parenting but I am tattooed. This makes me feel so sad because I take my relationship with Christ very seriously. I research the Bible and pray before every huge decision. I’m not perfect and I sin regularly but I also truly want to do as Christ wants me to do. 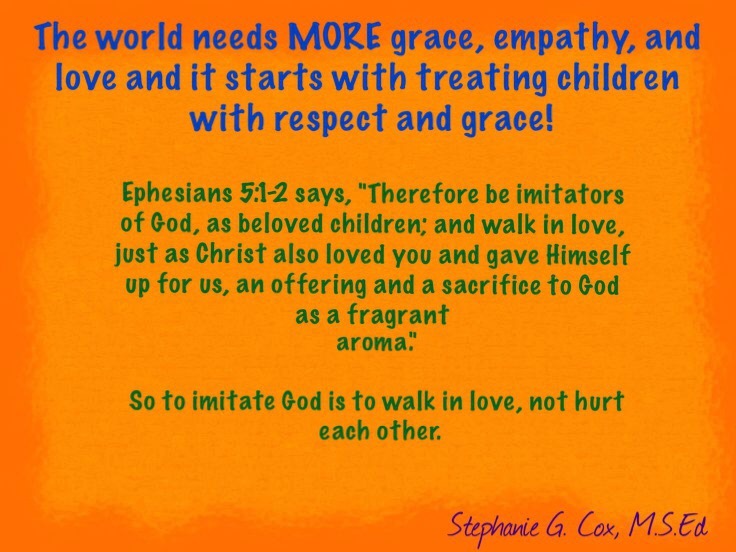 So imagine my horror and confusion when I saw a meme with a quote from Beth Moore, a Bible teacher, that seems to be saying that to choose love and become more like Jesus is putting the Bible aside. That love and Truth are in tension with each other. You can listen to the quote here as I do not want to put the meme in this post. I used to really look up to Beth Moore. God has used her books and one of her Bible studies to speak to me. I can’t say anything bad about Beth Moore but her recent teachings have left me very disturbed. “And one of the scribes came up and heard them disputing with one another, and seeing that he answered them well, asked him, “Which commandment is the most important of all?” Jesus answered, “The most important is, ‘Hear, O Israel: The Lord our God, the Lord is one. And you shall love the Lord your God with all your heart and with all your soul and with all your mind and with all your strength.’ The second is this: ‘You shall love your neighbor as yourself.’ There is no other commandment greater than these.” And the scribe said to him, “You are right, Teacher. You have truly said that he is one, and there is no other besides him. And to love him with all the heart and with all the understanding and with all the strength, and to love one’s neighbor as oneself, is much more than all whole burnt offerings and sacrifices.” And when Jesus saw that he answered wisely, he said to him, “You are not far from the kingdom of God.” And after that no one dared to ask him any more questions” (Mark 12:28-34, NASB). Jesus tells us that love is the most important thing ever! The love of God and love for each other! Also, Jesus says that He is the Truth! “Jesus said to him, ‘I am the way, and the truth, and the life; no one comes to the Father but through Me'” (John 14:6, NASB). “The one who does not love does not know God, for God is love” (NASB). “Therefore be imitators of God, as beloved children; and walk in love, just as Christ also loved you and gave Himself up for us, an offering and a sacrifice to God as a fragrant aroma” (NASB). Another thing to consider is that the Bible is just one way that God speaks to us. The Bible is a bunch of beautifully God inspired words. It’s just a small piece of information that God wants us to have. However, we must study and look at the original language, historical culture, and the context in which passages were written. The Bible wasn’t written TO us, it was written FOR us! Big difference! Most Christians believe the Bible is written TO us. And the Bible is often referred to as a love letter from God. “In the beginning was the Word, and the Word was with God, and the Word was God. He was in the beginning with God. All things came into being through Him, and apart from Him nothing came into being that has come into being. In Him was life, and the life was the Light of men. The Light shines in the darkness, and the darkness did not comprehend it” (John 1:1-5, NASB). “I will ask the Father, and He will give you another Helper, that He may be with you forever;” (NASB). This Counselor is the Holy Spirit. He dwells inside us and constantly guides and speaks to us if we will listen to Him. Therefore, even if we don’t read the Bible, God is still able to speak to us. Don’t get me wrong, studying the Bible is very important! But if I were to somehow never be able to read and study the Bible, I have no doubt in my mind that The Word (God, Jesus, and the Holy Spirit) would continue to teach, guide, correct, love, and speak to me. We just need to be open to Him! I used to be a judgmental, legalistic Christian who thought it was my job to correct and save people from their sins. I thought obeying the rules were of utmost importance. I told people that they were headed to Hell if they didn’t listen to me and get Jesus. Guess how many people I helped save by being all about the Truth but not about love? Zero! That’s right! Nobody wanted anything to do with this Jesus guy and it hurt my relationships. We stand in the Truth by being more like Jesus. Love is how we reach people. Jesus was the hardest on the Pharisees and the Teachers of Law because they were all about self-righteousness and legalism and not wanting to hang out with the sinners. They even criticized Jesus for hanging out with sinners all the time. Jesus raised the status of all of the oppressed including children, women, people with disabilities, people of different races and ethnicities. He died for everyone! If that’s not love, I don’t know what love is! I’m sorry but I don’t think that Jesus wants us running around condemning people and shaking our fingers in their faces to stand for Truth! And your gloom will become like midday” (Isaiah 58:9-10, NASB). I don’t think He wants us to judge others (Matthew 7:1-6). I don’t think He wants us to spank/hit children. I don’t think He wants us to force people to follow Him out of fear. Rather, I truly believe that Jesus wants us to love as He loves. Yes, sometimes that means correcting someone gently if they are going down the wrong path, but gently is the key word as otherwise, people just get defensive and dig in their heels. Therefore, there is no “tension” between love and Truth unless we put it there. Love and Truth go together very easily. I believe that, sadly, teachers that say that positive Christianity and love are of the devil are the ones who are truly entrapped in satan’s schemes. After all, satan hates love.